Mt Bogong Club – Taking care of Victoria's highest Peak "non circum coimus"
The Mt Bogong Club was formed in 1965 to promote the environmentally sensitive and safe recreational use of Mt Bogong, to maintain the Cleve Cole Memorial hut and Michell Refuge for community use, provide a safety refuge for those in need of assistance on the mountain, and to organise social and recreational events for club members. 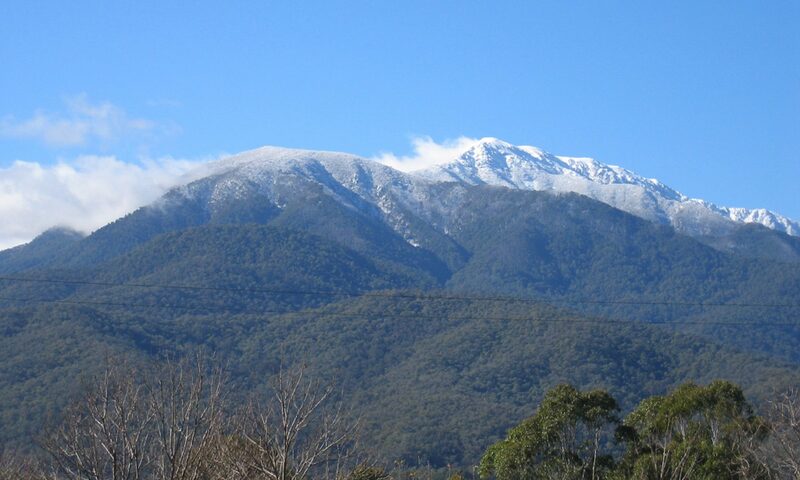 The Mt Bogong Club works closely and in conjunction with Parks Victoria, the manager of the Alpine National Park, including Mt Bogong. Potential Club members are required to have walked to the top of Mt Bogong, have completed a Work Party and then be nominated for membership. The current annual membership fee is $20 or $40 for families. 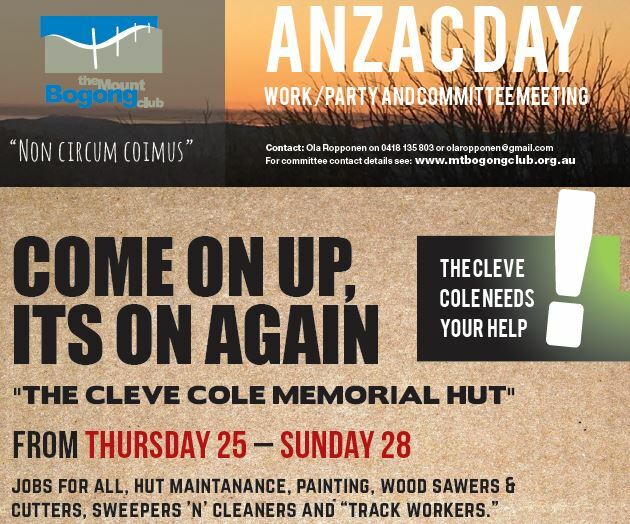 Members have access to the member’s facilities at Cleve Cole ($5 per night) and participate in all Club activities. There is an annual Rort that includes an annual general meeting where members complete the formalities and catch up over dinner. Account details for payments can be found by clicking here.